From moon landings to mobile phones, many of the farfetched visions of science fiction have transformed into reality. In the latest example of this trend, scientists report that they have developed a powerful printer that could streamline the creation of self-assembling structures that can change shape after being exposed to heat and other stimuli. They say this unique technology could accelerate the use of 4-D printing in aerospace, medicine and other industries. 4-D printing is an emerging technology that allows 3-D-printed components to change their shape over time after exposure to heat, light, humidity and other environmental triggers. However, 4-D printing remains challenging, in part because it often requires complex and time-consuming post-processing steps to mechanically program each component. In addition, many commercial printers can only print 4-D structures composed of a single material. Last year, Qi and his colleagues at Georgia Institute of Technology, in collaboration with scientists at the Singapore University of Technology and Design, used a composite made from an acrylic and an epoxy along with a commercial printer and a heat source to create 4-D objects, such as a flower that can close its petals or a star that morphs into a dome. These objects transformed shape up to 90 percent faster than previously possible because the scientists incorporated the tedious mechanical programming steps directly into the 3-D printing process. Building on this work, the researchers sought to develop an all-in-one printer to address other 4-D printing challenges and move the technology closer to practical application. The machine they ultimately devised combines four different printing techniques, including aerosol, inkjet, direct ink write and fused deposition modeling. 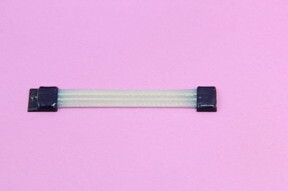 It can handle a multitude of stiff and elastic materials including hydrogels, silver nanoparticle-based conductive inks, liquid crystal elastomers and shape memory polymers, or SMPs. SMPs, which are the most common substances used in 4-D printing, can be programmed to “remember” a shape and then transform into it when heated. With this new technology, the researchers can print higher-quality SMPs capable of making more intricate shape changes than in the past, opening the door for a multitude of functional 4-D applications and designs. The researchers can also use the printer to project a range of white, gray or black shades of light to form and cure a component into a solid. This grayscale lighting triggers a crosslinking reaction that can alter the component’s behavior, depending on the grayscale of shade shined on it. So, for example, a brighter light shade creates a part that is harder, while a darker shade produces a softer part. As a result, these components can bend or stretch differently than other parts of the 4-D structure around them. The printer can even create electrical wiring that can be printed directly onto an antenna, sensor or other electrical device. The process relies on a direct-ink-write method to produce a line of silver nanoparticle ink. A photonic cure unit dries and coalesces the nanoparticles to form conductive wire. Then, the printer’s ink-jet component creates the plastic coating that encases the wire. Currently, Qi’s team is also working with Children’s Healthcare of Atlanta to determine whether this new technology could print prosthetic hands for children born with malformed arms. Qi acknowledges funding from the National Science Foundation, the U.S. Air Force Office of Scientific Research, HP Inc. and Northrop Grumman.